Added cost: shared groceries (estimated at ~US$300/couple), shared cost of beer, booze & ice on board (estimated at ~US$300/couple), as well as meals and drinks purchased on shore. These are all new or nearly new, well cared for and beautiful 40' catamarans which are the boat of choice for this area. Participants will share the sail, by sharing the navigation, galley duties and piloting. There will be a well-experienced skipper on board each boat for any emergencies, but make no mistake, these are “Share The sail” events to give the experience for people who want to “get out there” and want to know more about the cruising lifestyle. All on board will be expected to help out in the galley, help clean up, spend time at the helm, participate is raising and lowering the sails, adjusting the sails while cruising, and assist with docking. All are invited to learn about navigation, passage planning, sailing, and learning the yachts systems. You will have an experienced Captain on board to teach you whatever you wish to learn about sailing and living on board. For those who may be traveling solo but want to save a few bucks by sharing. just email: mailto:H3Musick@gmail.com and we will try to match you with a boat-mate to share the cabin. What’s it cost – book now and travel discounts. We keep it simple and affordable. Mallorca and the Balearic Islands of the western Mediterranean is one of the most costly charter areas in the world, but we have two yachts reserved. 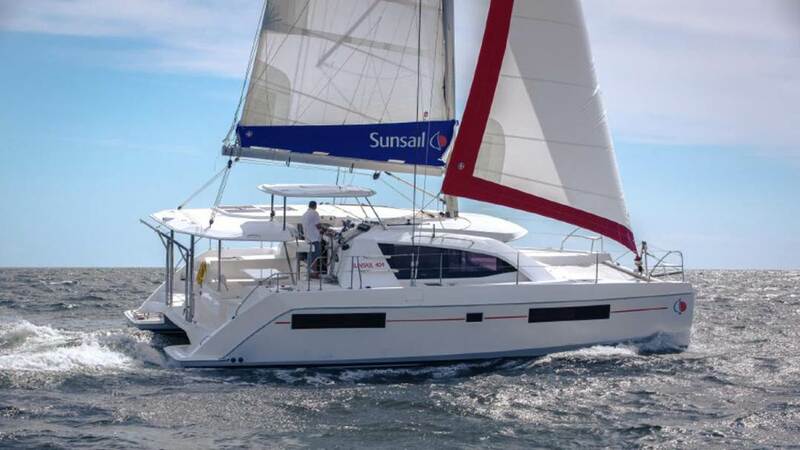 They are two Leopard 404 Sailing Catamarans. We ask for a $650 deposit per cabin (refundable up to 90 days prior to the event) The balance will be due 60 days prior to the start of the cruise. 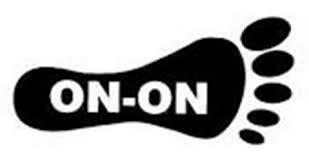 All participants are responsible for their air and any land trips. We suggest staying 3 days before, and 1 or more days after in order to take full advantage of the fun city and beach at Palma. 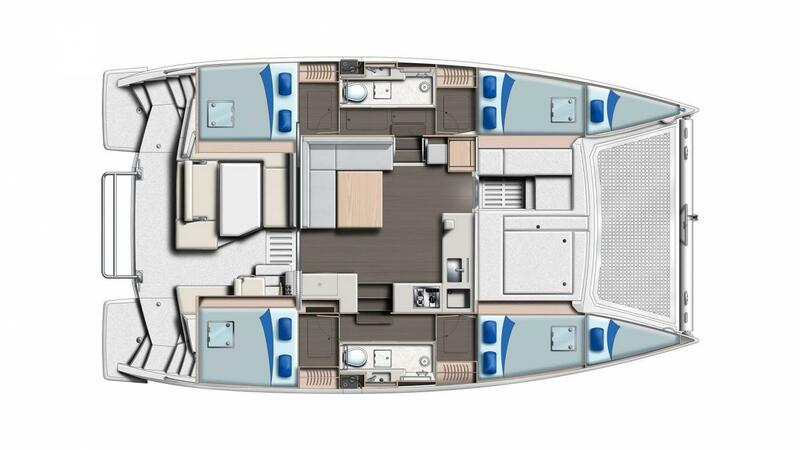 On each boat you can expect to have a private double cabin with bath. We do not “overload” boats. One couple to each cabin, plus each boat will have an experienced skipper. Here is a link to a site that informs you about the local sailing area. There is a Grocery store across the street from charter base, where we can provision for the boats. A yacht charter from Palma gives you unlimited freedom to marvel in the Mediterranean’s glistening-blue waters, stunning secluded beaches and all the natural splendor Mallorca has to offer. From the cobbled streets of Palma’s walled city to the illuminated caves of Porto Cristo and various vineyards producing some of the world’s most sought-after wines, Mallorca is a small island with colossal character. Discover it all with one of our suggested itineraries or expand your exploration grounds to include nearby islands like Ibiza, Menorca and Formentera. There’s simply no better way to enjoy all of Mallorca’s hidden treasures than by way of a Sail yacht charter. 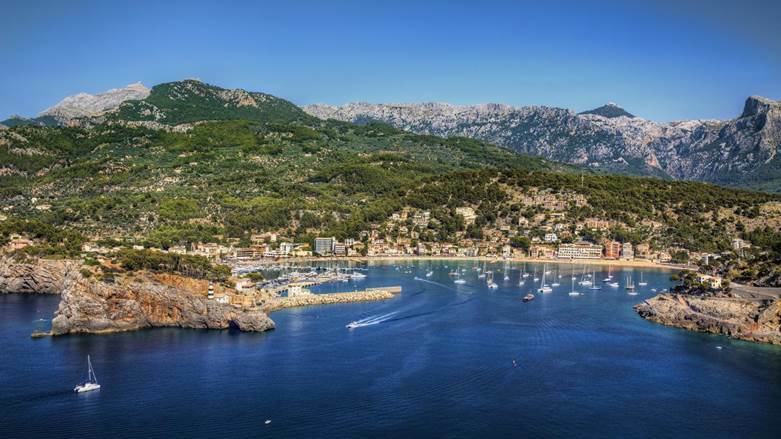 As you immerse yourself into the idyllic coastline surrounding this Mediterranean gem, endless opportunities await. In particular, there are a number of must-see sights and onshore activities worth doing. 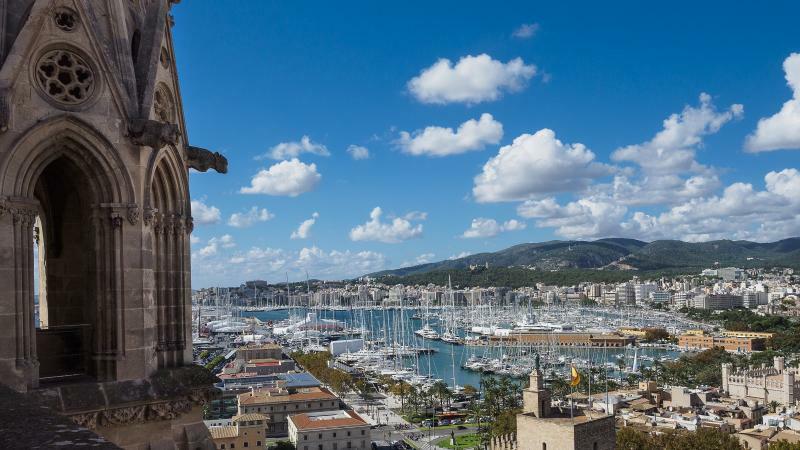 Pay a visit to the Golden mile of Palma for some fine dining and designer fashion shopping, take a guided tour of the illuminated caves of Drach in Porto Cristo, taste the premier Mallorca gin at a local distillery, hike your way through Cabrera National Park, and of course, no Palma charter is complete without indulging in the world-famous paella. 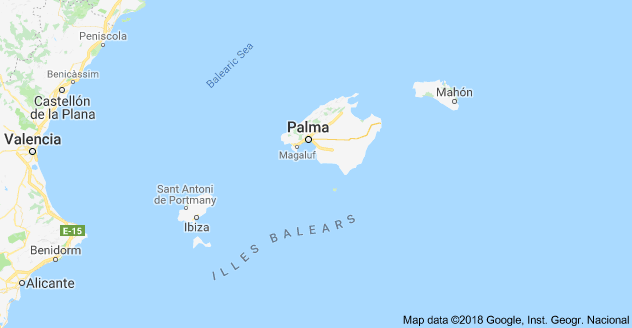 Just 50 miles off the eastern coast of Spain, Palma enjoys a year-round, dry and sunny climate that offers pleasant temperatures averaging 70 °F in May and about 88°F in July & August. Winds trend between 5-15 knots, southeasterly in the western part of the cruising area and northwesterly in the eastern part of the cruising area. Part of an island chain spread over miles of open water, Mallorca offers an adventurous blue water sailing vacations for experienced sailors. Take on some exhilarating coastal sailing in the sparkling Balearic Sea. Less experienced sailors can go on short trips between hidden calas, while strong winds make for rewarding longer voyages for more advanced crews. Just off the south west coast of Mallorca you’ll find the Cabrera Archipelago National Park. This group of protected islands shelters some spectacular underwater meadows where the scuba diving is among the best in the Mediterranean, with groupers, octopi, loggerhead turtles and even dolphins paying the meadows a visit. A spell of exhilarating blue water sailing from the north of Mallorca will guide you to the neighboring island of Menorca. 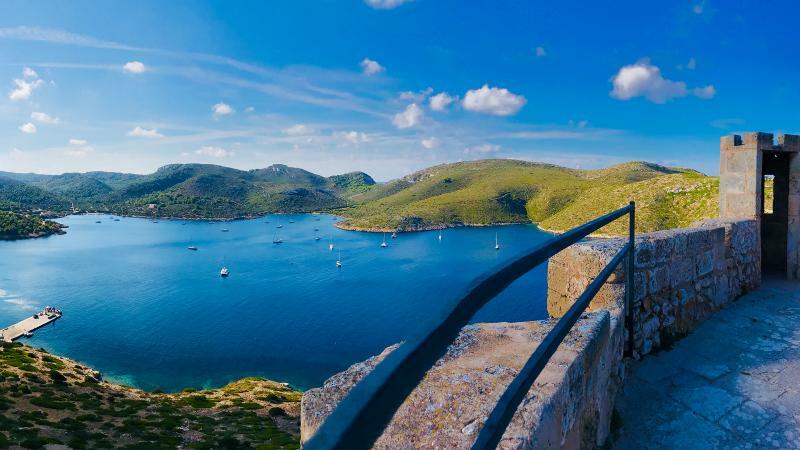 With great food, beautiful scenery and high-quality sailing on offer, a Balearic Island sailing vacation is about more than just partying. Why not discover Mallorca together on our newest Mediterranean flotilla route? Sailing on flotilla from Mallorca gives you the freedom to discover coastal sailing, without the fuss of route planning. It is suitable for sailors with some previous experience, due to a variety of conditions and navigational challenges.